It is with great sadness that news reached us today that CU2 has been found dead after being in a collision with overhead wires near Pentrefoelas in North Wales. He was found and reported by an electricity engineer and had suffered a broken wing. Such a sad end to a beautiful bird but a reminder once again of the perils that Ospreys and other birds have to endure on a daily basis. The area where he was found is ideal Osprey territory and there is no doubt he was prospecting potential nest sites and searching for a suitable partner. If he would have survived, there is a good chance that he would have settled down in Wales to breed and would have added to our small breeding population of Ospreys. Alas Fate dealt him a cruel hand. It was not to be, unfortunately. CU2 (known as ‘Jimmy’) was ringed as a chick near Carsphairn in Dumfries & Galloway on 8th July 2012. He was seen on the Glaslyn nest on April 15th this year and there were high hopes he’d eventually take over from 11(98) but was last seen here on April 23rd. 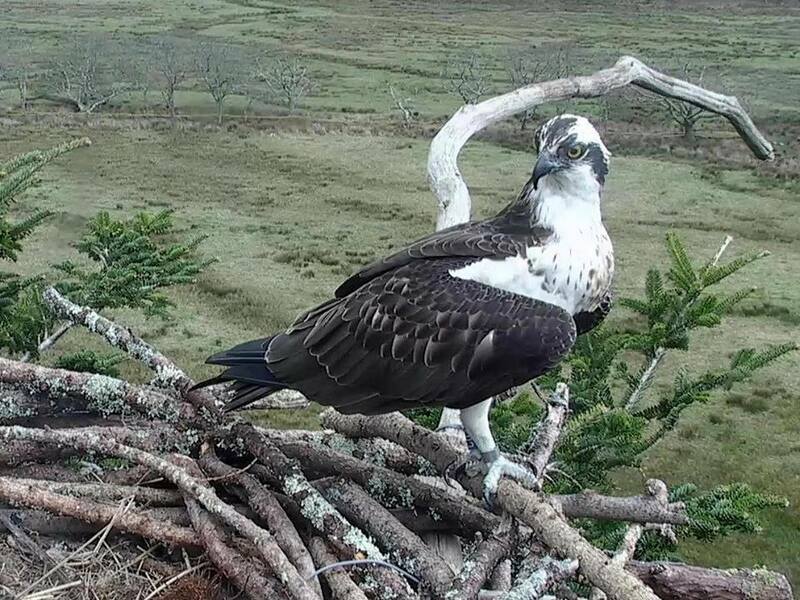 He also intruded on the Dyfi nest on August 20th, 2014. The 2015 Osprey season on the Glaslyn has been an emotional roller coaster for everyone involved with the project and all of our followers. We have had our share of ups and downs so far this year. Yesterday, unfortunately, was one one of the down days. Although we only saw CU2 on the Glaslyn between April 15th and April 23rd this year, in those nine days he touched all of our hearts. He gave us hope when we were still reluctantly accepting that 11(98) would not return this year. CU2 became the first male to land on the Glaslyn nest whilst the Glaslyn female was still looking a forlorn figure in the absence of her long-time partner. As it turned out, other males were also interested in the Glaslyn nest and CU2 was eventually evicted from his new quarters. But he was not one to give up.